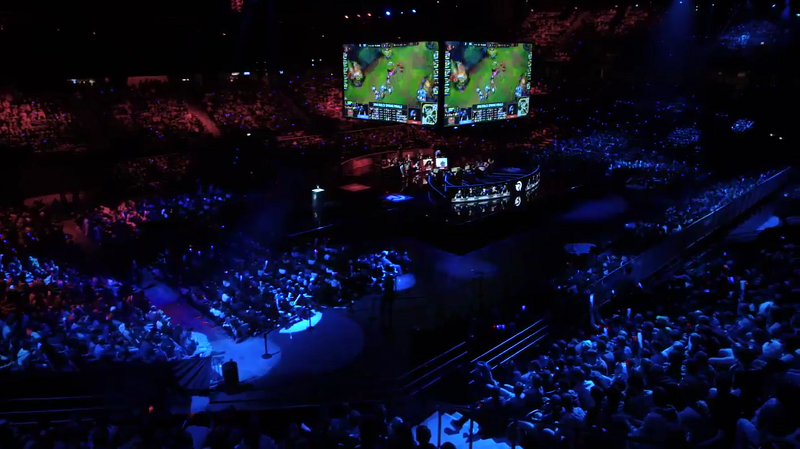 The League of Legends spring season is wrapping up. After SK Telecom T1 strolled across the finish line earlier this morning in South Korea, the remaining contenders from North America and Europe are set to scrape it out in their respective regions over the next two days. Beyond League, this weekend also has plenty going on in the worlds of competitive Tekken 7 and FIFA 17, as well as collegiate Hearthstone. Below you’ll find where and when you can catch all the weekend’s biggest events in competitive gaming. Let us know what you’ll be watching in the comments or if you think there’s something we might have missed. The League of Legends spring play-offs come to an end this weekend with the grand finals. First in Europe there’s Fnatic and Misfits fight over third place at 11:00AM EDT today, followed by G2 Esports vs. Unicorns of Love on Sunday in a best-of-five series that will crown the continent’s spring champion. In North America, Phoenix1 take on FlyQuest for runners-up at 3:00PM EDT today after falling to Cloud9 last weekend. As a result, Cloud9 will take on this season’s juggernaut, TSM, at 3:00PM EDT on Sunday. You can find all of the matches streaming live on each region’s respective channel (NA, EU). The spring Rocket League Championship Series continues this weekend as the end of the season nears. Games start today at 3:00PM EDT with Denial Esports vs. Genesis, concluding later in the afternoon around 7:00PM EDT. On Sunday, the action switches to Europe with Mock-It Esports vs. Resonant Esports beginning at 12:00PM EDT. You can watch those games in the live stream below. Today the American Regional Finals for the FIFA Ultimate Team Championship Series get underway with New York City FC’s Christopher “DidyChrisLito” Holly and Hashtag United’s Mike “Hashtag Mike” Labelle as early favorites in the 32 person group stage. Play in the $100,000 tournament gets underway around 11:45AM EDT today with all the matches in the live stream here. The winners will earn spots in the world finals hosted next month in Berlin. Qualifiers for the StarLadder i-League Invitational continue this weekend with F.R.I.E.N.D.S vs. Vega Squadron at 11:00PM EDT today followed by Team Spirit vs. Natus Vincere at 2:00PM EDT. The winners of those series will go on to face one another at 1:00PM EDT on Sunday with the victor earning a spot in the ensuing Invitational. All the matches can be watched live here. The Tekken 7 UK Championships move to Dublin this weekend for qualifying matches leading up to the MCM London Comic Con tournament late next month. Pools have already begun with top 8 play scheduled for 12:00PM EDT today. You can stream that tournament live here. Competing in the cs_summit in Los Angles, Cloud9 will take on Ninjas in Pyjamas at 12:30PM EDT today in the tournament’s lower bracket, followed by Team Liquid vs. OpTic Gaming at 3:30PM EDT. Then favorites SK Gaming and Gambit Esports will face-off in the upper bracket at 6:30PM EDT with the loser having a chance to find redemption in the lower bracket tomorrow before the finalists duke it out at 4:00PM EDT on Sunday. The games will be streaming live right here. The Tespa college championship for Hearthstone comes to a close this weekend with the eight remaining teams facing one another in single elimination to see who will come out on top in 2017. The quarterfinals begin at 12:00PM EDT today followed by the semifinals on Sunday at the same time and the grand finals scheduled for 8:ooPM EDT that night. The regular season continues in North America with NT vs. GFE at 5:00PM EDT today followed by T8 vs. BST at 7:30PM. Then Sunday it’s SSS vs. TS at 5:00PM EDT followed by TF vs. NVT at 7:30PM. The Rivalcade Rumble is a single elimination tournament playing out this weekend online. Some of the best teams, including EnVy and Rogue, will compete across a group stage followed by a bracket stage with a prize pool of $10,000. Rogue and Counter Logic Gaming kick things off at 3:00PM EDT today with matches following every hour after. You can stream the entire tournament right here. The Smite Console League Spring Finals resume today after Friday’s action with the semifinals starting at 11:00AM EDT, followed by the grand finals on Sunday morning at the same time right after the AVGL finals conclude.